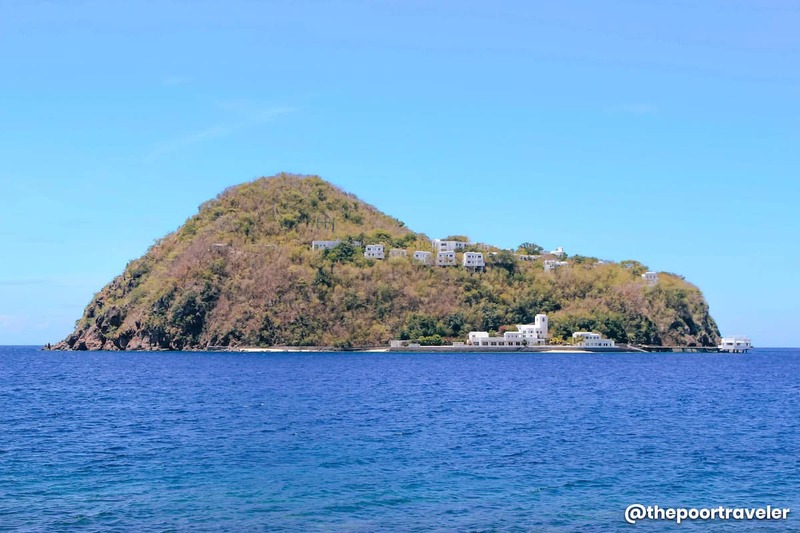 Here’s our MARINDUQUE TRAVEL GUIDE with detailed information on how to get there and a list of things to do and places to visit including Poctoy Beach and Maniwaya Island. We also included a sample MARINDUQUE ITINERARY with budget estimates. During my time in Marinduque earlier this month, not only did I feel the warmth of the Marinduquenõs but also their love for their province. I’m blown away by how earnest they are in promoting their beloved heart-shaped island, which, coincidentally, is also considered the geographical center of the Philippines according to the Luzon Datum of 1911. Marinduque is indeed living up to its moniker — the Heart of the Philippines. The island province of Marinduque lies between Tayabas Bay (north) and Sibuyan Sea (south). It is located north of Romblon, east of Mindoro (separated by the Tablas Strait), and west of Quezon (separated by the Mongpong Pass). Marinduque comprises six municipalities: Boac (the provincial capital), Mogpog, Gasan, Buenavista, Torrijos, and Santa Cruz. Other than these towns, it also has offshore islands that include Tres Reyes Islands (Melchor, Gaspar, Baltazar), Elephant Island (Bellarocca), Maniwaya Island, Mongpong Island, and Polo Island. The province’s economy relies heavily on agriculture, particularly coconuts and rice. But the tourism industry is poised to contribute more as the opening of Marinduque Airport is expected to pave way to lot of opportunities for businesses to flourish. It is already known for its Moriones Festival held annually during the Holy Week, but it has so much more to offer: from its numerous cave systems to vibrant dive sites to stunning beaches. Language: Tagalog (Marinduque dialect). The Marinduque Tagalog is said to be the result of the natural incorporation of pre-Spanish Tagalog, Bikol language, and Visayan language. They can understand standard Tagalog. English is also relatively spoken and understood.Currency: Philippine peso (PHP, ₱). PHP 100 is around USD 1.91, EUR 1.70, or SGD 2.60 (as of April 2019).Mode of payment: Cash is preferred. As of writing, ATMs are limited, so be sure to bring enough cash with you.Electricity Info: 220V, 60Hz. Socket Type A. GOOD NEWS! You can now reach Marinduque from Manila in just an hour or less by air instead of going through the eight-hour-long land-and-sea transit. Cebu Pacific Air flies three times weekly between Manila and Marinduque. On April 1, 2019, the inaugural flight from Manila’s NAIA Terminal 4 to Marinduque Airport was finally launched. This marked the beginning of Cebu Pacific Air’s Manila-Marinduque operations. Marinduque Airport is located at Barangay Masiga in the town of Gasan, near the border with Boac, which is the provincial capital. 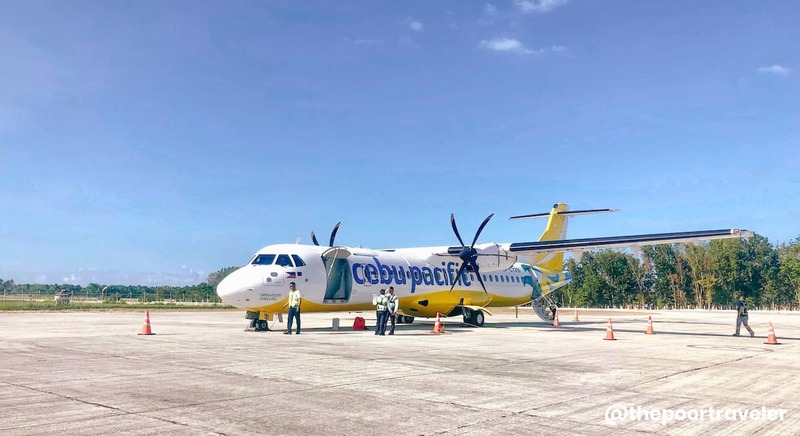 Cebu Pacific flies three times weekly — Monday, Wednesday, and Saturday — between Manila and Marinduque. The travel time is about an hour. You can book online and check the fares via Cebu Pacific website. The roundtrip fare ranges from P3,000 to P4,000, depending on the season. If you prefer the bus and ferry, we’ll have a separate post for that. You can travel the whole province within a day via its circumferential road that covers all of its six municipalities. But of course, it would be great if you spend more days and stay long per stop. From the airport, you can either take the jeepney or the tricycle to get to the towns or to your hotel. Jeepney. The main mode of transportation when traveling from town to town. The minimum fare is P10 per person and the maximum is P25. If you have no idea how much is the fare to your destination, the jeepney terminals display the fare matrix. The last trip is around 4 PM or 5 PM.Tricycle. Traveling within towns, the locals take the tricycles. The minimum fare per person is P13. The tricycle terminals also post the fare matrix to guide the passengers.Pump Boat. For transit between the mainland and the nearby islands. Boat rental fee depends on the size of the boat, the destinations, and other inclusions.Own vehicle. You may also bring your own car or motorcycle (even bicycles! ); however, this will incur an additional fee on top of your ferry transit fare. The RoRo cargo fee charges P1,000 for motorcycles and around P2500 for cars. Make sure to gas up before going to Marinduque as gasoline in the province is relatively pricier than in Quezon. As of writing, bicycle and motorcycle rentals are not yet popular in the province. Tricycle tours are also rare if none at all. If DIY is not your thing or if you have seniors and kids with you, you can seek the service of DOT-accredited tour agencies and operators. One of the highly recommended is Dream Favor Travel and Tours. As the capital of Marinduque, Boac is the center of commerce. It harbors most of the government offices and commercial establishments such as restaurants, shops, banks, market, and accommodations. 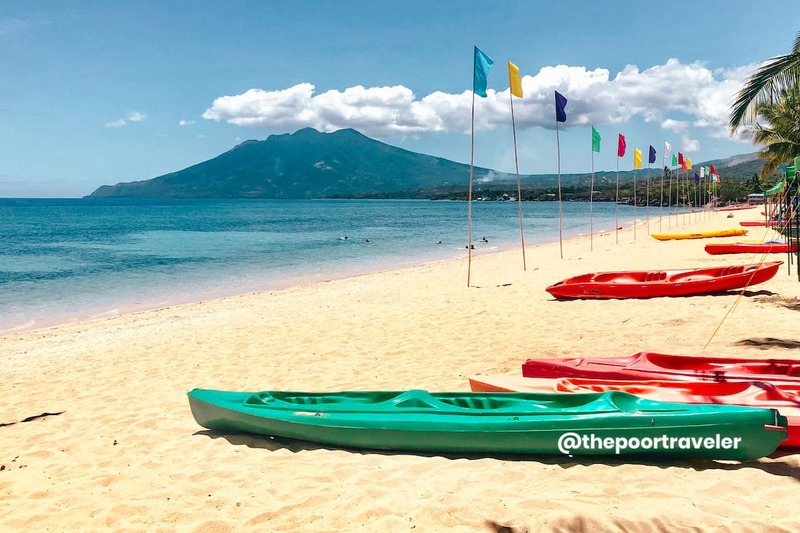 It is also the only town that shares borders with all the other five municipalities; therefore, Boac is the preferred jump-off point to all other tourist attractions in Marinduque. 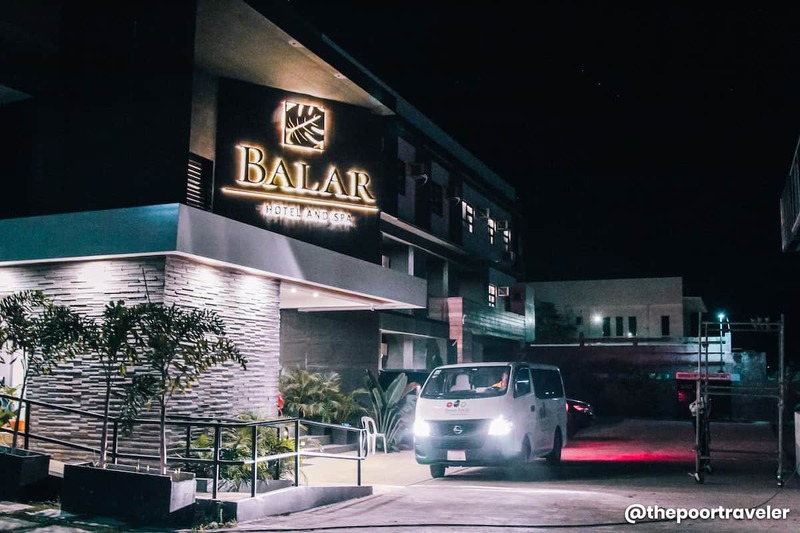 During our visit, we stayed at the relatively new Balar Hotel and Spa in Boac. It has all the basic amenities like toiletries, towels, and lounge. Aside from that, it has free Wi-Fi, a spa service, a restaurant, and a bar. If you want a taste of history, you may reserve a room at Boac Hotel, the oldest hotel in Marinduque (52 years!). It only has 16 rooms, so you have to book in advance, especially if you are visiting during the Holy Week. There are other budget hotels, guesthouses, and inns. 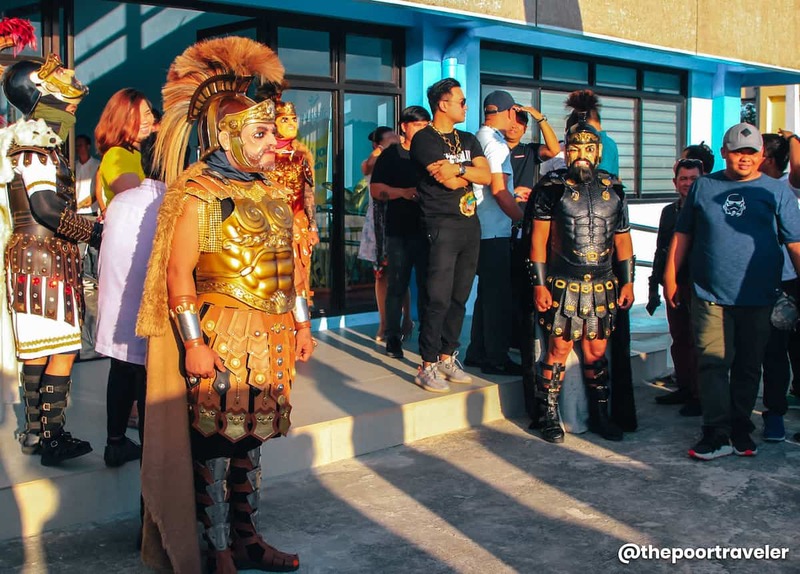 One of the country’s oldest festivals, Moriones, locally known as “Moryonan”, has become synonymous to the province of Marinduque. Held annually during the Holy Week, Moriones is widely celebrated by both locals and tourists. Local participants dressed in Roman soldier uniform march down the main road connecting the towns of Gasan, Boac, Mogpog, and Santa Cruz. Usually, the two largest towns — Boac and Santa Cruz — present the reenactment of the moment when an unnamed Roman soldier (a blind “Moryon”), struck Jesus in his side with a lance while crucified on the cross and was able to see after the blood droplets from the wound touched his eyes. If every province has an official mascot, the Moryon is a no-brainer choice for Marinduque. Surrounded by bodies of water, the island province offers pristine beaches that can be enjoyed all year round. The beaches of Marinduque are not too crowded (yet). Poctoy Beach in Torrijos is the most prominent beach in Marinduque. It has fine cream-colored sand and clear cerulean waters. Mt. Malindig is visible from the beach, so you can revel in its beauty while swimming or just chilling on the beach. This is where the locals usually hang out, so food and cottages are not a problem. A few resorts are also being constructed in and around the area. 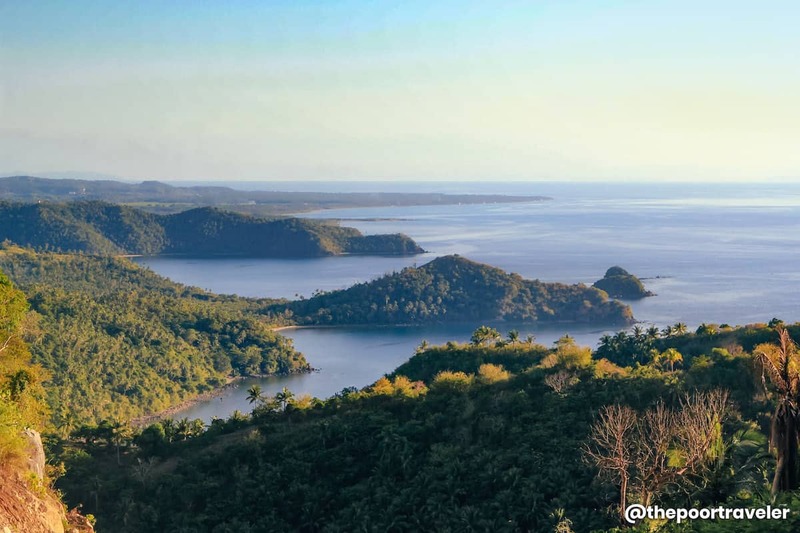 Gaspar, Melchor, and Baltazar, collectively known as the Tres Reyes Islands, are the popular island-hopping destinations in Marinduque. From the Gasan Freedom Park, these islands are already visible. There are locals residing on the biggest island, Gaspar. Island hopping rates are P1,000 – P1,500 for all three islands and P500 – P600 for Gaspar Island only. Maniwaya Island is another popular island destination in Marinduque. From Buyabod Port, boat rental rate is approximately P4,000 for Maniwaya Island, Palad Sandbar, and Ungab Rock Formation. If you are coming from Maniwaya, the boat rental for Palad and Ungab is approximately P1,500. 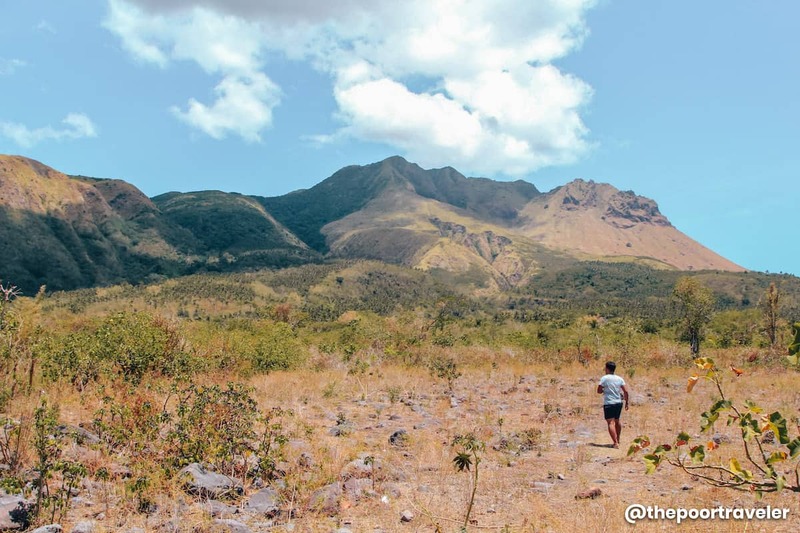 Located on the southernmost portion of the province and towering at 1,157 meters above sea level, Mount Malindig is the highest peak in Marinduque. It is a favorite hiking destination, boasting a rich endemic flora and fauna. It is said to be a potentially active stratovolcano, which makes it more interesting. It has three peaks — the central (location of the old caldera), the south (the rockies), and the north (the highest). From the main road covering the towns of Buenavista and Torrijos, the mountain proudly announces its presence as it dominates the landscape. Springing from the mighty Mount Malindig is another crowd magnet — the natural sulfur baths in Barangay Malbog, Buenavista. Malbog Sulfur Resort is located at the foot of the mountain. Locals and foreign patrons frequent the place for its healing properties, especially those with skin problems and diseases as it is said to effectively cure them. P45 is the entrance fee for adults and P30 for kids, PWDs, and senior citizens. Marinduque is dotted with historic and charming churches. 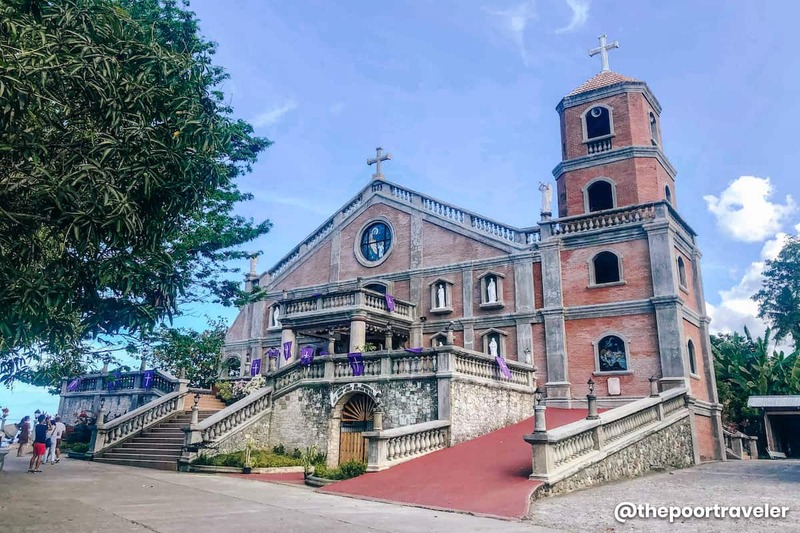 Established in 1977, the Cathedral-Parish of the Immaculate Conception and Diocesan Shrine of Our Lady of Biglang Awa or simply Boac Cathedral is one of the prominent churches in Marinduque. It sits atop a hill at the town center, providing a scenic view of the town. Near the church is the Church Museum. Similarly, St. Joseph Church in Gasan is situated on a hill, giving pilgrims and visitors a picturesque view of the town and Tablas Strait. The church’s interior is a work of art too! Do not miss the “coconut shell mosaic” that gives a unique character to the church. Other churches in Marinduque are Church of the Holy Child in Buenavista, St. Ignatius of Loyola Parish Church in Torrijos, Holy Cross Parish in Santa Cruz, and San Isidro Labrador Church in Mogpog. Marinduque is still provincial in the real sense of the word — no cities, all towns. 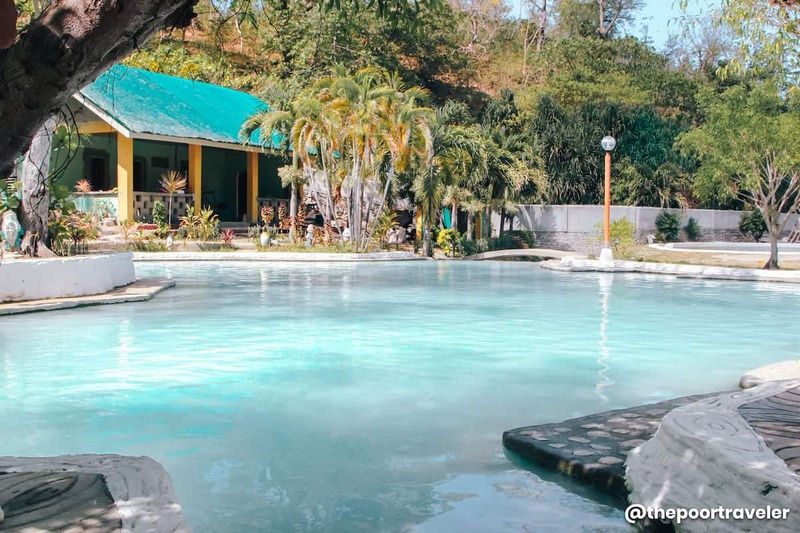 The largest town, Boac and Santa Cruz, have the large concentration of residents, but even these commercialized towns are still laidback without the presence of modern buildings, malls, and even fast food chains which makes the province more charming. The towns are still dominated by local structures that breathe culture and speak of heritage like the old ancestral houses (both the traditional Filipino and Spanish-influenced houses), Boac Town Hall, Casa de Don Emilio, the churches, and many others. If you want to know more about the history of Marinduque, you may also visit the National Museum of the Philippines – Marinduque (also called Boac Museum). If you The marketplace is a good place to marvel at and purchase Marinduque’s iconic products like the local food, traditional handicrafts items and Moriones masks. But I will never forget my “Putong” experience! This tradition, which they also call “Tubong” is Marinduqueños way of welcoming and honoring their guests and friends. Even without the putong, I already felt the warmth of the Marinduqueños, but to participate in it was something that I will remember for the rest of my life. Truly a heartfelt welcome! Interestingly, Marinduque, the “Heart of the Philippines”, is also the site of the Luzon Datum of 1911 National Landmark. Found on top of Mt. Mataas in Mogpog, this is the monumental rock marker that identifies it as the geodetic center of the Philippines. 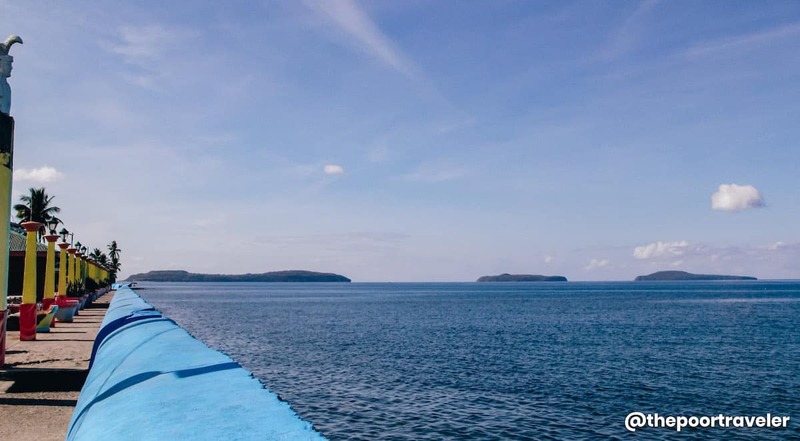 Aside from the marker, there’s also a view deck that affords visitors a panorama of the surrounding areas including Tayabas Bay, Mompong Pass, and part of Tablas Strait. Note that you must climb 468 steps to reach the point. But don’t worry! There are several designated rest areas should you feel the need to take a break. It’s best to go there late in the afternoon to wait for the sunset. A truly rewarding sight after the tiring climb up the concrete steps. Don’t forget to register at Barangay Hinanggayon’s office. Also, you may consider hiring a tricycle to ensure that you will have a ride back, especially if you plan to see the sunset. The absence of popular food chains and restaurants works to the advantage of the local cuisine. 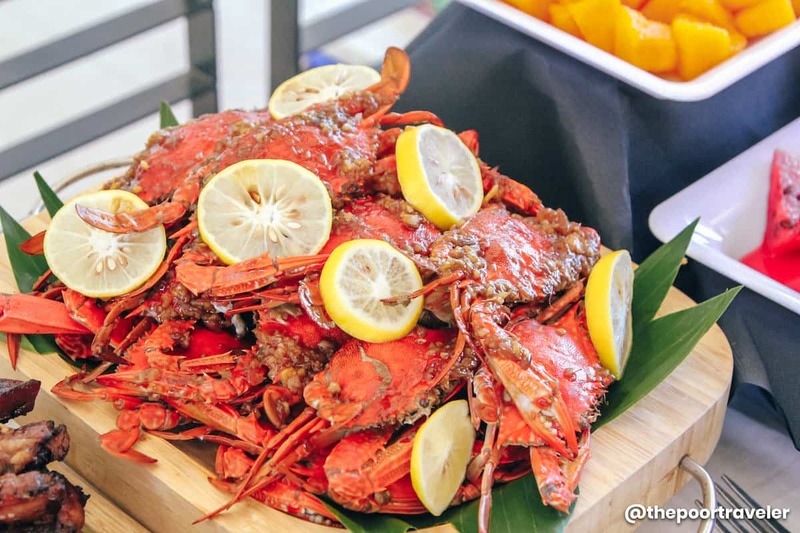 It highlights the flavors of Marinduque, adding rich character and identity to each meal. Casa de Don Emilio offers authentic local dishes such as Ulang-ulang (sour soup with shrimp and young coconut meat), Kare-kare (which looks and tastes more like bopis and dinuguan), and Dinilawan na Native Chicken (uses turmeric for flavor and color). Here are other must-try products: pinaltok (version of ginataang bilu-bilo), tuba drink, bibingka “lalaki”, sinagol (buco noodle soup), saludsod (cassava pancake), Arrowroot cookies, coco sugar, and gulay na santol. You can buy your pasalubong at Rejano’s Bakery, Boac Hotel, and the marketplace. Elephant Island is also known as Bellarocca, the once exclusive luxury resort and spa that has ceased its operation a couple of years ago. At present, there are no available boats going there as it’s not operational. You can view the island from the main road (Circumferential Road). Hakupan Island, just 20 minutes off the coast of Santa Cruz town. You can actually view the island from Mt. Mataas. From Buyabod Port, you can also charter boats to Polo Island and Mongpong Island. Here’s a sample three-day itinerary for Marinduque. You may make changes and adjustments depending on your budget and the number of days you want to spend exploring Marinduque. You are coming from Manila.You are a party of two and splitting the expenses.Your meal allowance per meal/person is P100-150.Your hotel per night is P1,500.You want to cover most of what the six municipalities have to offer.  Note: If you are not into climbing Mt. Malindig, you can just view it from the main road and spend more time at Malbog Sulfur Resort or Poctoy Beach. Note: You can also change island-hopping activities to inland activities like caving and chasing waterfalls. The itinerary above will cost you around PHP 4,500 (USD 87, SGD 117, EUR 77) per person, excluding accommodations and shopping expenses but including a little bit of allowance for any miscellaneous expenses along the way. Again, this itinerary is for those who want to experience most of what the province offers in one go. OTHER MARINDUQUE TIPS FOR THE POOR TRAVELEREat dinner early. Commercial establishments like restaurants and cafés close as early as 8 PM.Protect yourself from the harmful UV rays. Outdoor activities are fun but don’t forget to apply sunscreen to avoid damaging your skin from too much exposure from the sun. Remember to use eco-friendly sunscreen. These are products that don’t contain chemicals like oxybenzone, parabens, and benzophenone.Be mindful of the transportation schedule. The last trip for jeepneys is usually at 5 PM. If you go beyond that and your hotel is in another town, you will have to charter a tricycle to get to your hotel. You will have to spend more.Dispose of your trash properly. Do not litter and leave trash anywhere — beach, mountain, caves, etc. If you can’t see a trash bin, take your garbage with you until you can dispose of it properly.Practice sustainable tourism. Support the local products; however, ensure that the making of the products didn’t endanger other creatures or harm the environment. Bring your own water bottles and eco bag to lessen plastic wastes.FREQUENTLY ASKED QUESTIONS ABOUT MARINDUQUEIs Marinduque safe? Marinduque and Batanes alternately take the top spot for the Most Peaceful Province in the Philippines ranking by the Philippine National Police and Philippine Security Forces. Safe to say that you don’t need to worry too much when it comes to security in the province. However, this doesn’t mean that you can just leave your belongings unattended. You are still responsible for securing your stuff. Same goes to your safety while doing activities: wear life vests, wear aqua shoes (especially on rocky shores), and wear a helmet if you are going around on a motorcycle. Summer in the Philippines covers the months of March to May. Locals and tourists flock to the beach, particularly Poctoy Beach in the town of Torrijos, and the islands to cool themselves off. Haring Karabaw Festival (Santa Cruz, January)Kalutang Festival (February)Gasang-Gasang Festival (Gasan, Easter Sunday)Kangga Festival (Mogpog, May)Kalesayahan sa Gasan (Gasan, August)Bila-Bila Festival (Boac, December)Are there ATMs in Marinduque? Yes, there are ATMs in Marinduque. Most of them are located in the capital town of Boac including Philippine National Bank (PNB) and RCBC. There’s also a PNB branch in Santa Cruz, the largest town in Marinduque. If you opt to take the ferry to the province, you can also withdraw while still in Quezon. Other options are money transfer like Western Union, LBC, Cebuana Lhuillier, and Palawan Pawnshop. But then again, as mentioned previously, it’s best to have enough cash with you when you go to the island province. This travel guide was made possible by Cebu Pacific Air.